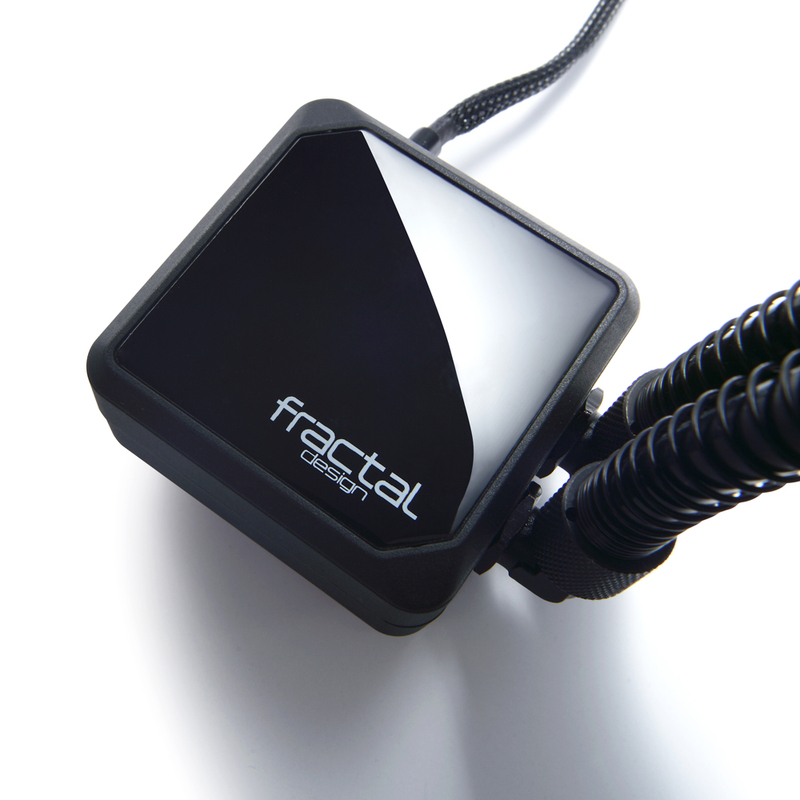 Fractal Design have delivered some really sleek and top quality cases to date. 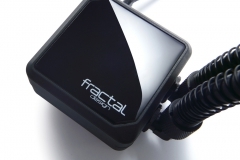 Their attention to detail and focus on quality has led to high expectations on anything with the Fractal Design label on it. 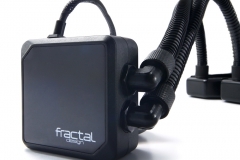 How special is their first entry into closed loop water coolers? Read on to find out. 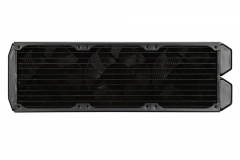 There is no shortage of All In One (AIO) water coolers on the market at the moment in sizes ranging from 120, 140, 240, 280, and 360 mm. 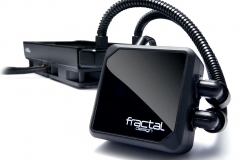 Whilst this is Fractal Design’s first entry into water cooling, other companies like Corsair, Coolermaster and … have released multiple generations of AIO products with improvements in each iteration. 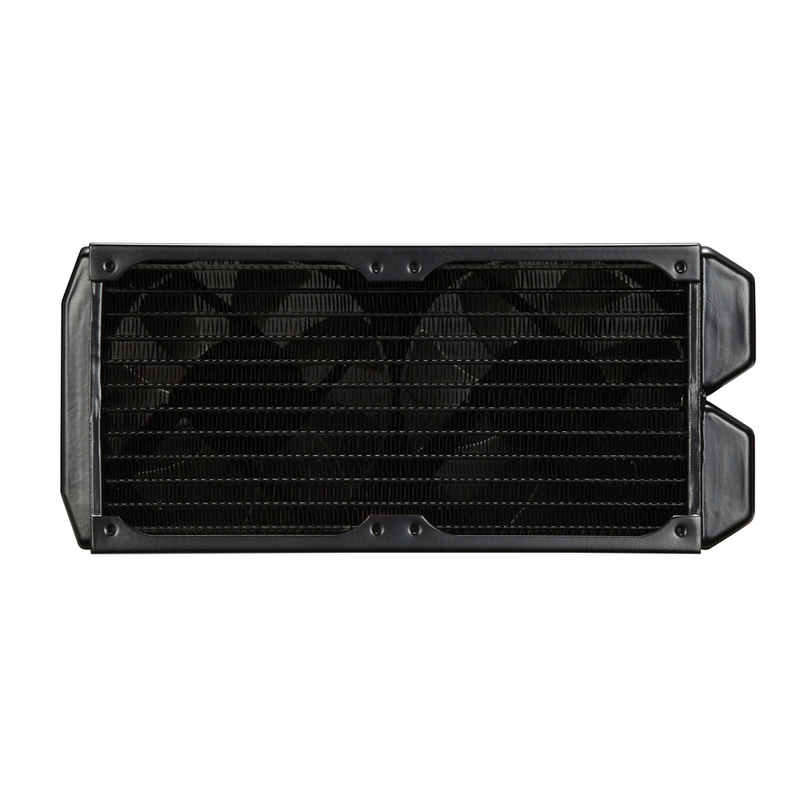 AIO water coolers are desirable because they place less weight around the CPU socket, they don’t obstruct RAM slots or graphics cards and generally speaking, they are a quiet but effective method to exhaust your case while cooling your CPU. The concept isn’t earth shattering either, the water in the loop is propelled through the tubes by a pump (usually located over the CPU water block) through a copper plate with miniature channels where the heat from the CPU is transferred to the water. 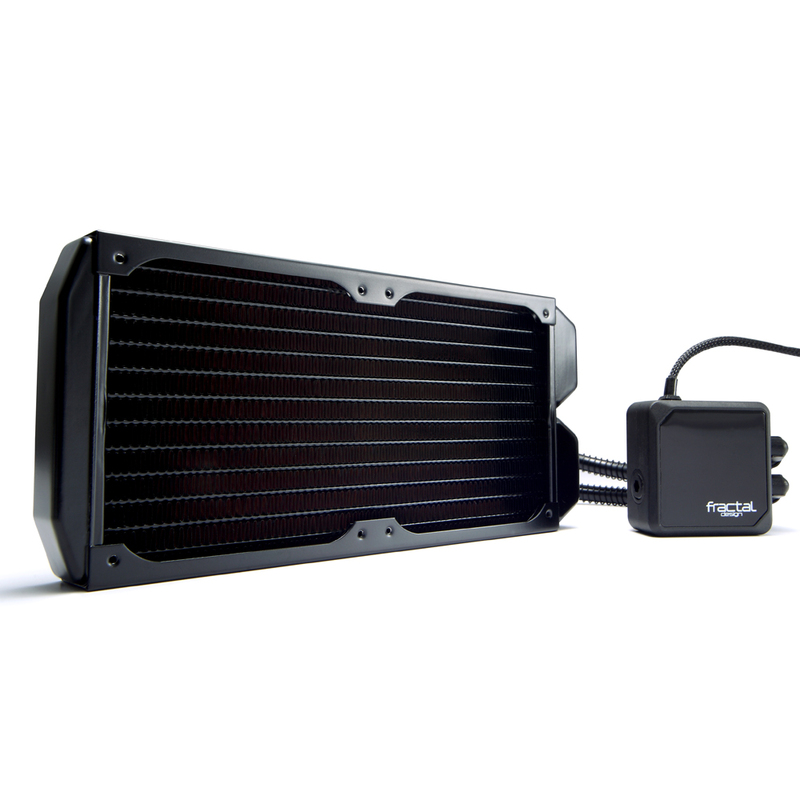 The warm water then goes to the radiator where the fan or fans push air through the fins to cool the liquid and it starts its journey again. 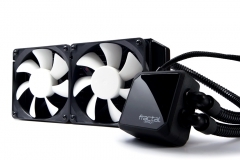 The key factors that determine the success of a water loop are the pump and effectiveness of the hoses to maintain a good flow rate, the water block in terms of CPU contact and heat transfer to the liquid and finally the radiator platform. 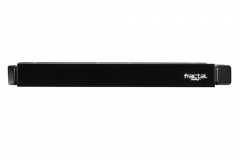 Radiators come in different thicknesses with variable fin densities and are then paired with an appropriate fan or fans. 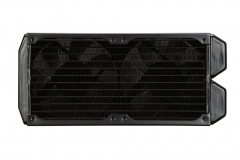 The larger the surface area of the radiator, the more effective you should expect it to be. 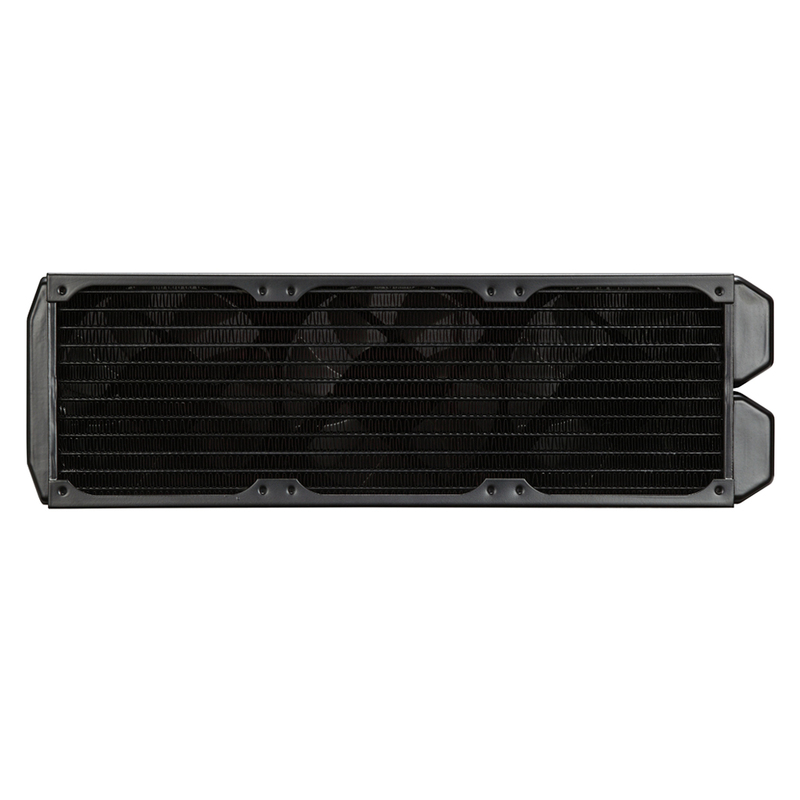 AIO coolers are typically sealed units that you mount either in the rear fan mount or in the roof of a case depending on the radiator size. 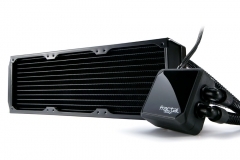 In some small cases it is possible to mount the radiator in the front. 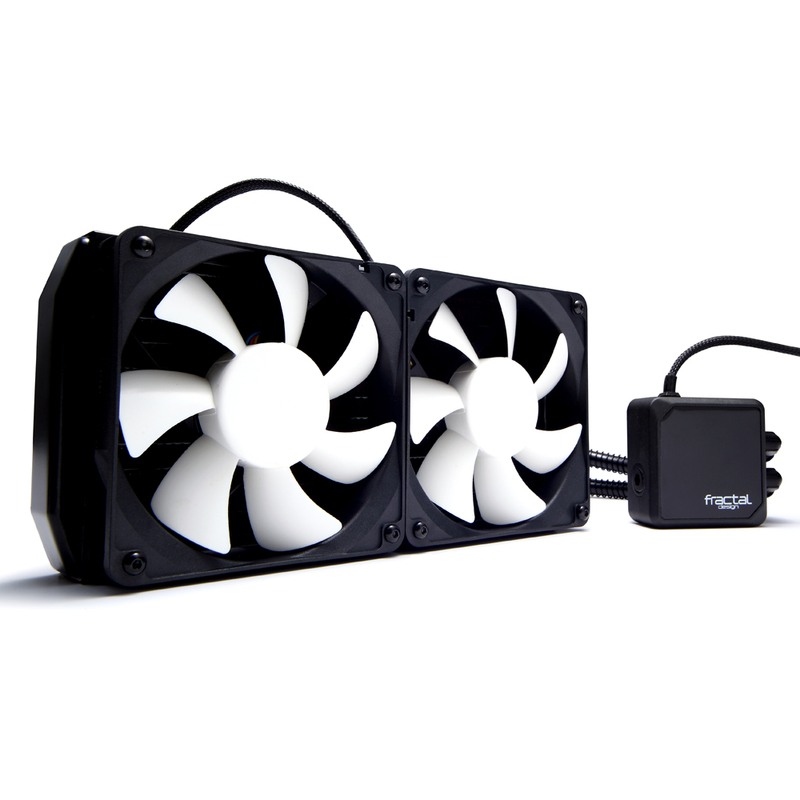 The Kelvin series coolers have longer hoses than most of the competition meaning that they are more likely to fit in the front of a case. 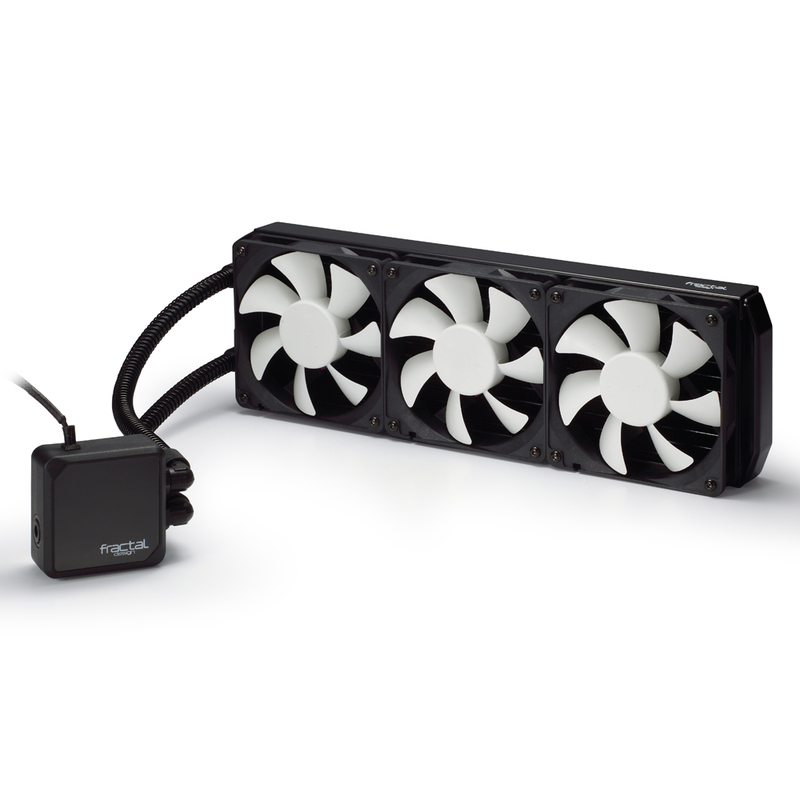 This is important if a system builder is trying to keep the airflow moving but limit the number of fans that are actually running. There is a flip side to this coin of having longer hose length and that is managing it in compact builds. 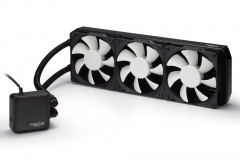 The designers used standard sized compression fittings on the Kelvin series which means that you could add a reservoir, additional radiator or even a GPU water block to the loop. 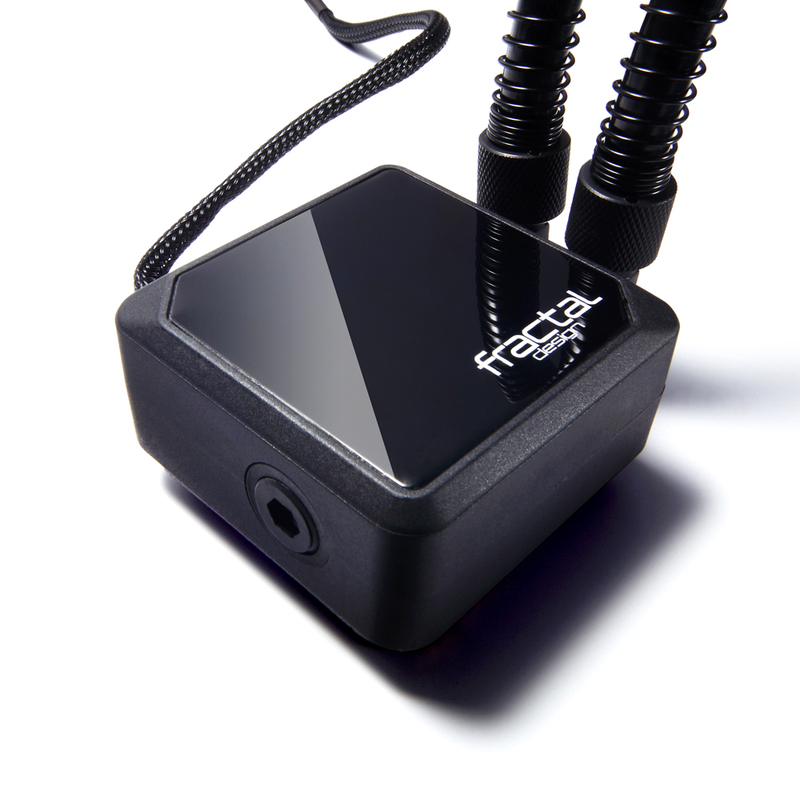 There is a dedicated refill port and although it might be a little tricky to get the full amount of fluid in the unit without air bubbles, at least it’s possible. 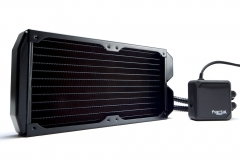 The pump is made by Alphacool and capable of running a bigger loop than what you get in the box. 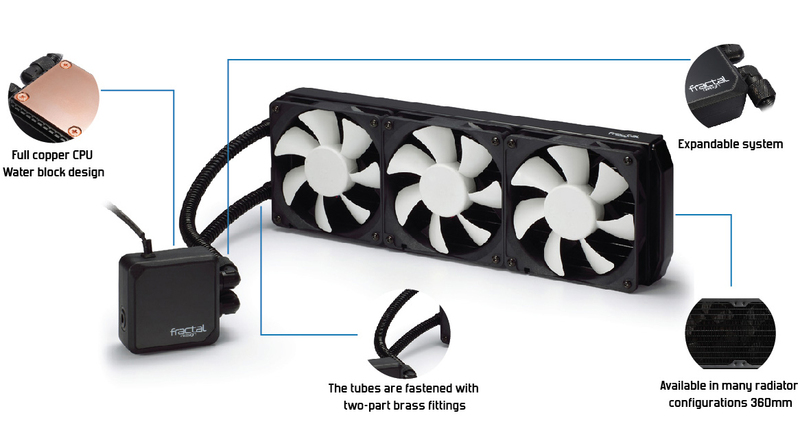 It’s always good to see a company go the extra mile in quality and a copper radiator wasn’t something I was expecting to see when I first heard about the Fractal Design AIO coolers last year. 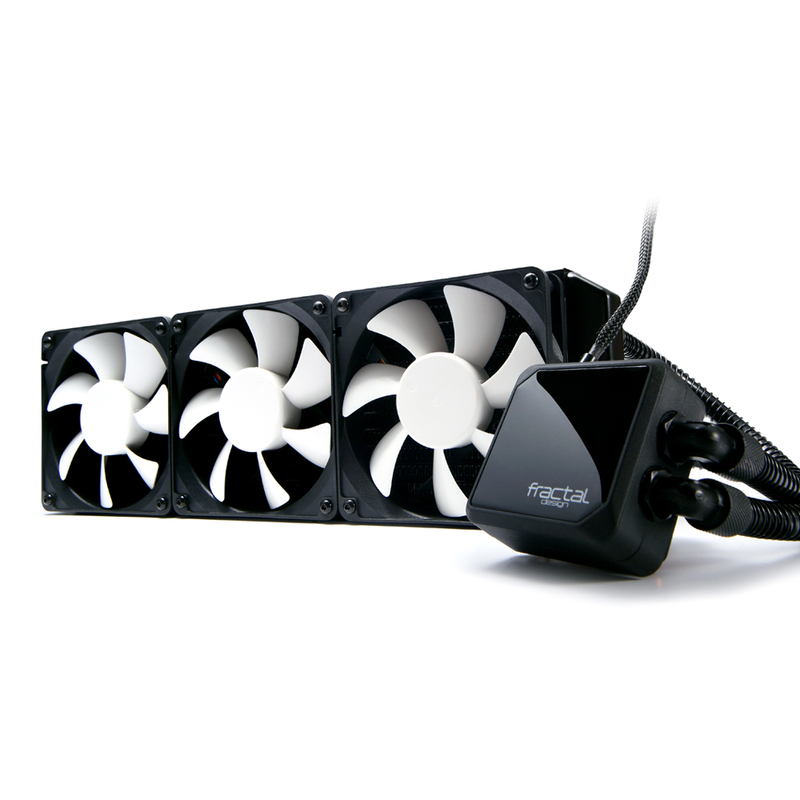 The fin spacing is also pretty standard and being 30mm thick, you don’t need fans running at extreme speeds to push air through the radiator. 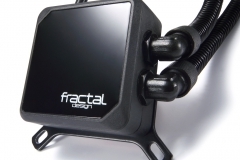 Alphacool know a thing or two about water cooling and Fractal Design did well to engage an industry expert when creating the Kelvin. 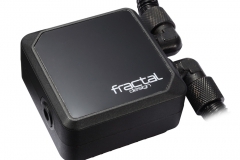 As you would expect from a product that lists one of it’s key strengths to be ‘expandable’, the pump is rated for a larger loop with more components. 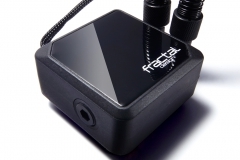 Fractal Design doesn’t say exactly how many more components. 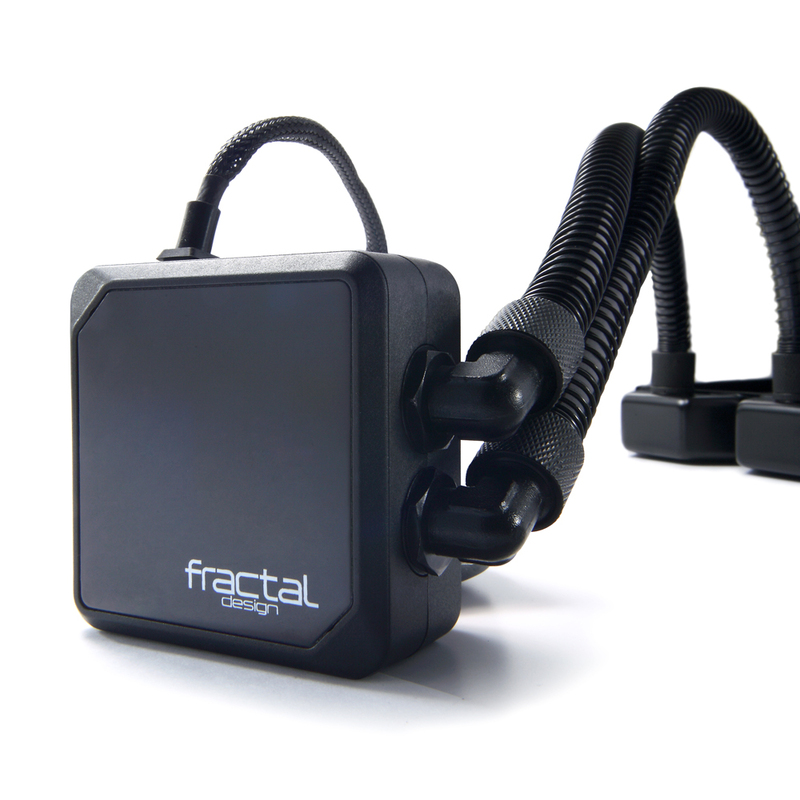 The pump is powered from a braided 3-Pin fan header cable which is more convenient than a MOLEX adapter. 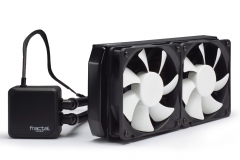 Our ASUS Maximus Gene VI motherboard was able to control the rpm of the pump via the Fan Xpert 2 software as well which helped with the noise profile but gave us the improved flow rate to help with thermal performance when we needed it. 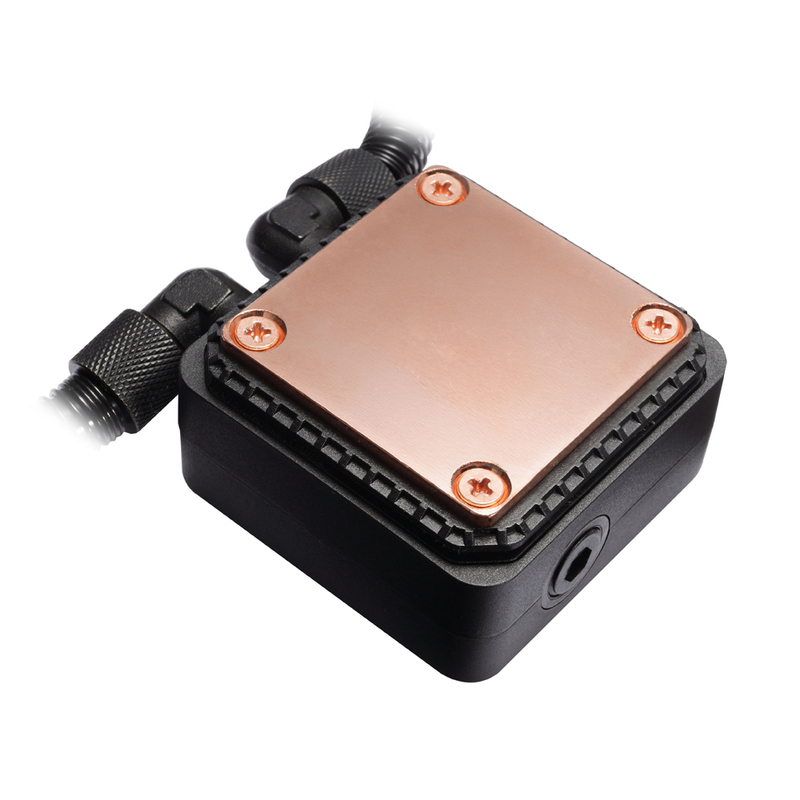 The pump/water block has a nice heavy feel to it with a decent copper base that doesn’t seem to have any issues transferring heat away from the CPU. 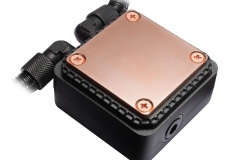 In our testing, the water block made good contact with the CPU heat spreader provided that the mounting was even. 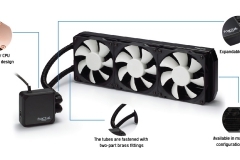 The dual (S24) / triple (S36) Silent Series HP120mm fans are 4-Pin units and Fractal Design include a 2-way (S24) and 3-way (S36) fan splitter for the CPU FAN motherboard header. 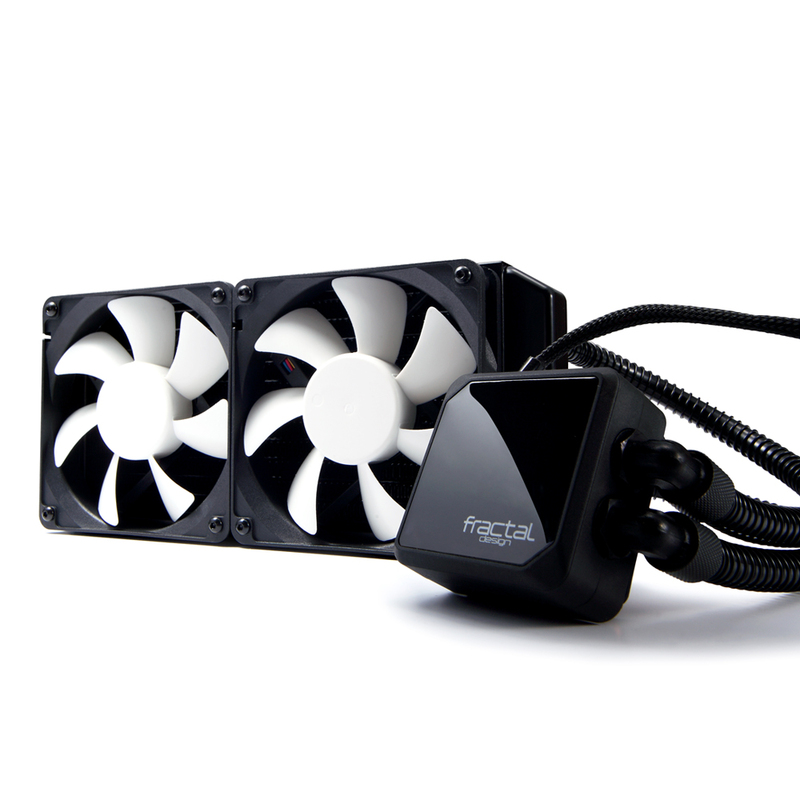 All fans and the included splitter cable are well braided. 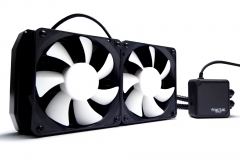 In our testing, the fans remained quiet when overclocking and barely audible with our CPU in stock configuration. 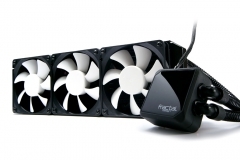 Overclocking pushed them but they were never pushed to 12v by our ‘Standard’ ASUS Fan Xpert 2 software profile. 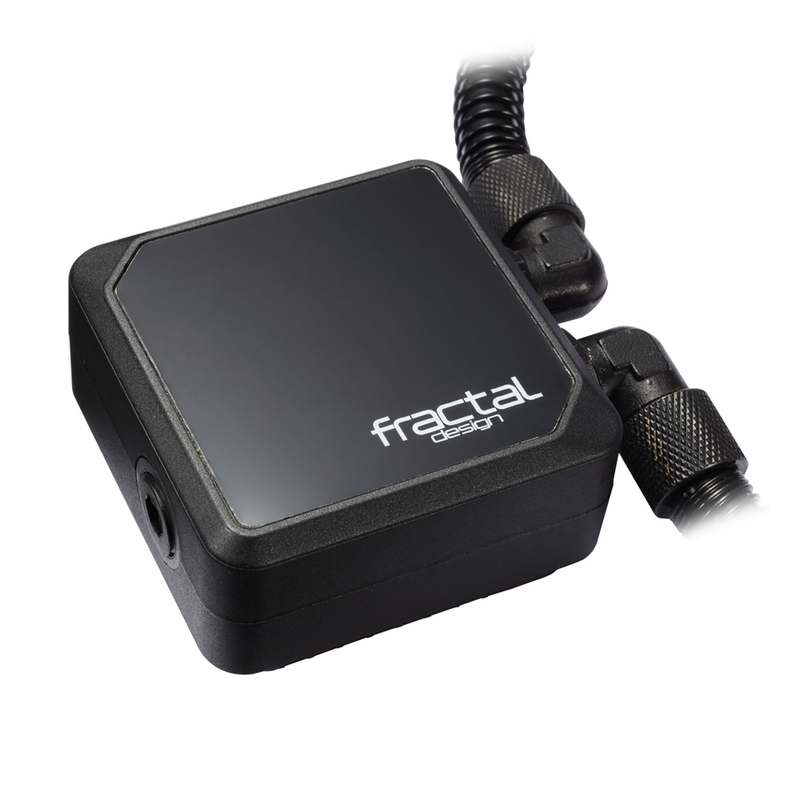 Instructions are easy to follow and of the same quality that we have come to expect from the team at Fractal Design. 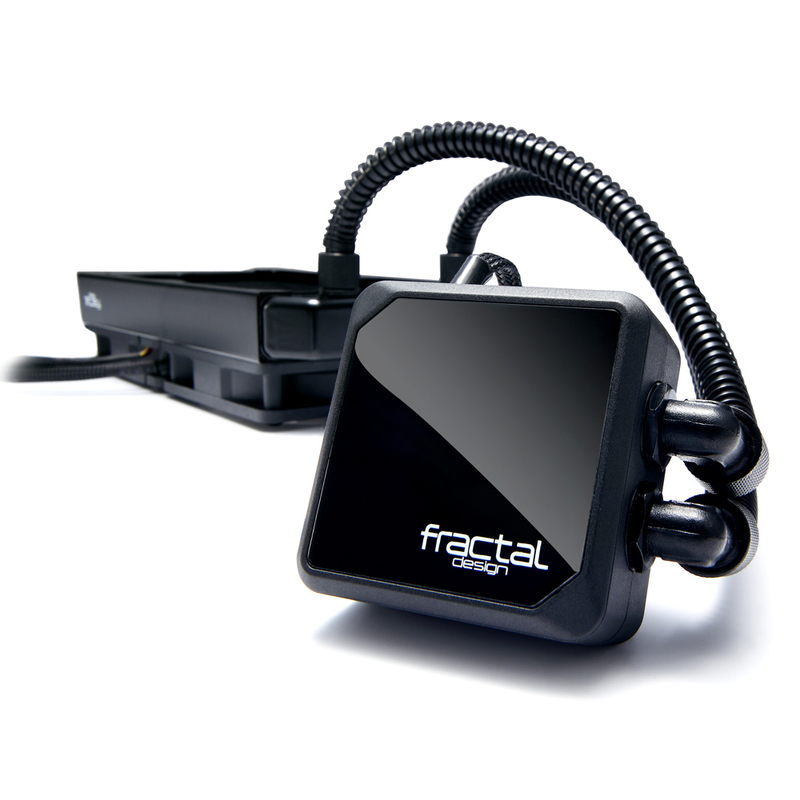 We were never in any doubt as to what we should be doing next and what the install process was. The included thermal compound is non conductive and easy to wipe clean. 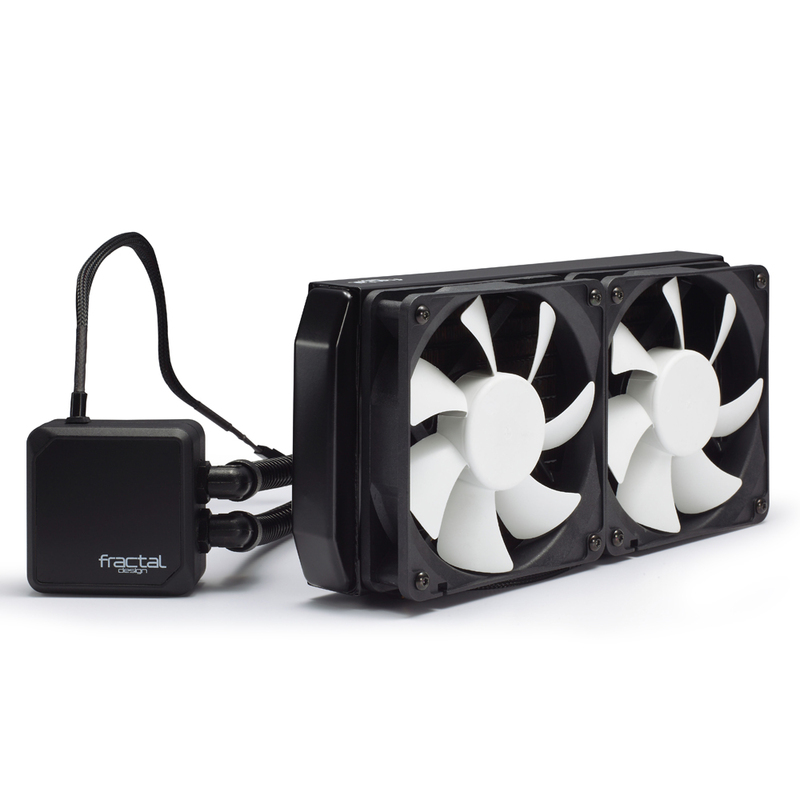 Our standard that we compare against is the Noctua NT-H1 and this seemed to perform just as well (within margin for error) and was just as easy to work with. 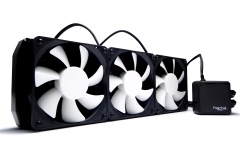 The Kelvin is available in 3 versions, the single fan S12 (120mm), the S24 (240mm) and S36 (360mm) – we received the S24 and S36 for testing. 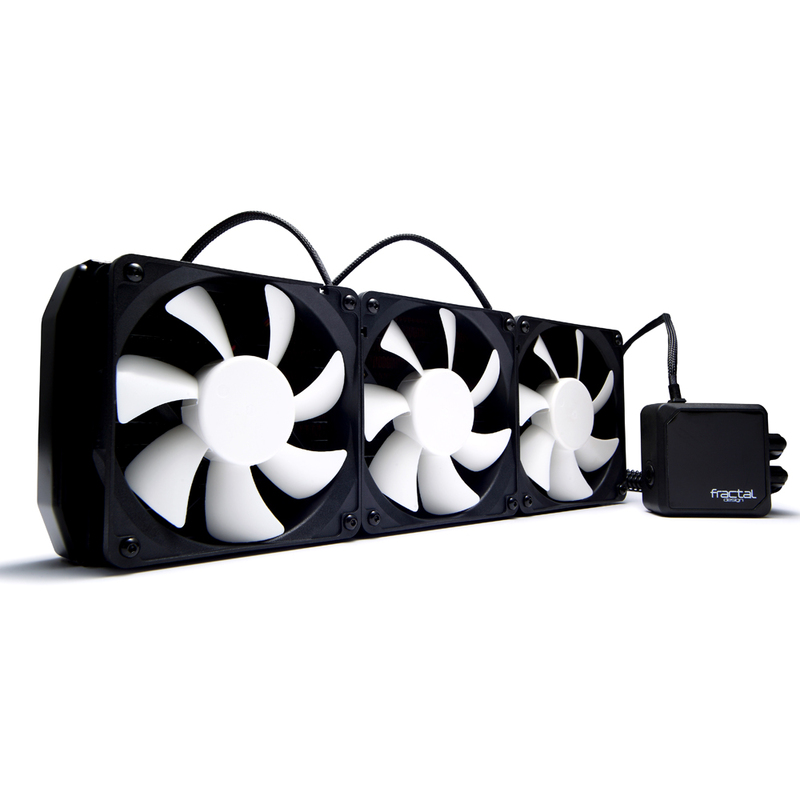 These are essentially the same with the exception of the radiator dimensions, fans and included fan splitter cable. 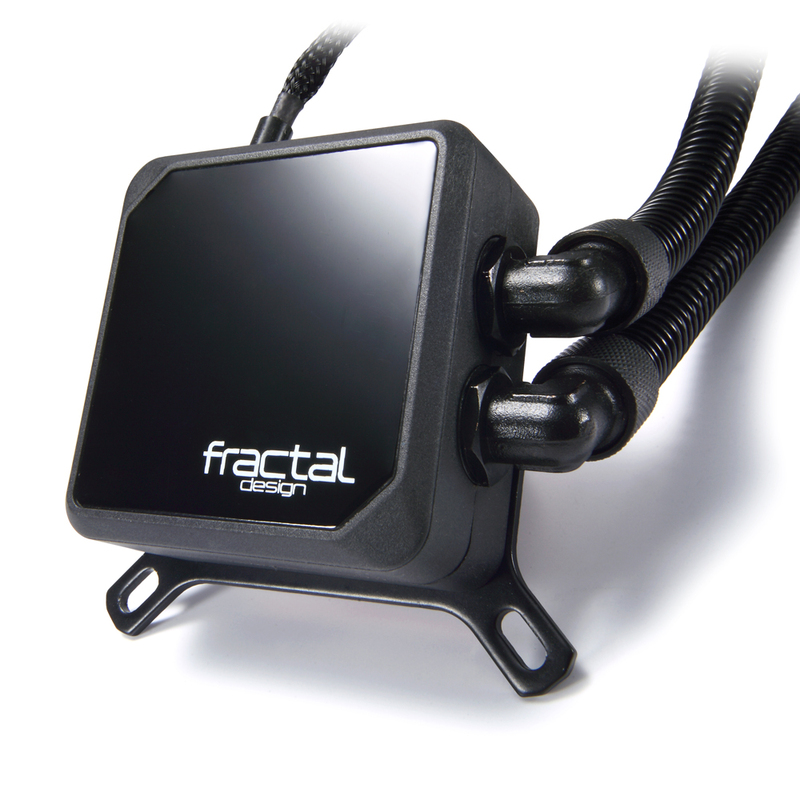 The galleries below are from Fractal Design and the finish on the water block really does look that shiny! The 240mm S24 should fit in the majority of cases either in the roof or in the front, thanks to the longer hoses. 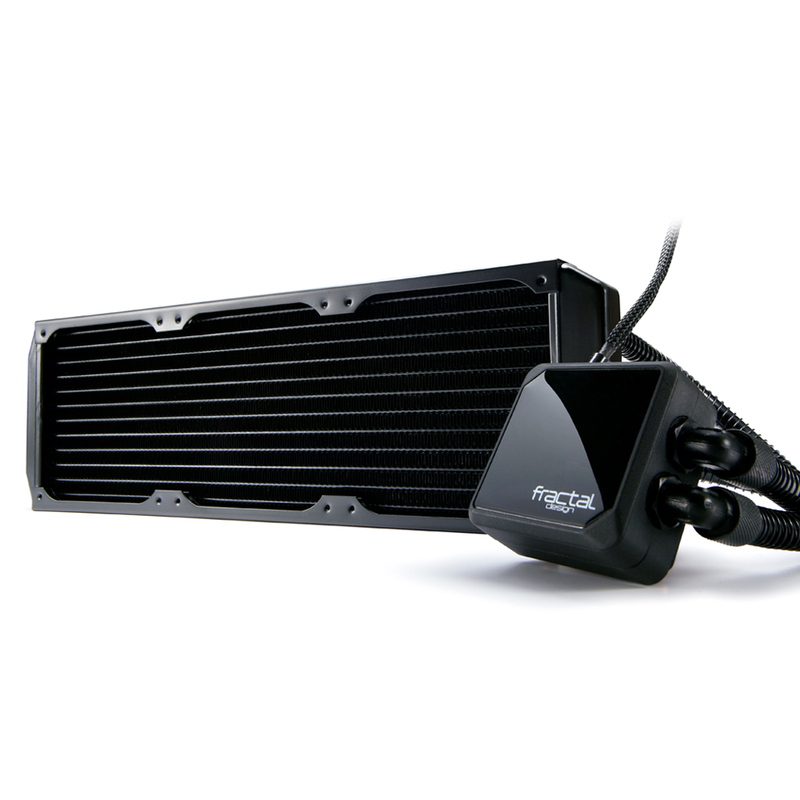 The 30mm thick radiator also means that push pull fan configurations are more likely to fit in your rig than with a thicker radiator.